Nationally recognised UK Top 200 law firm BHW Solicitors have selected Redbrick Practice Management and Redbrick Business Intelligence firm wide, to drive efficiency and growth. They are the leading specialist commercial law firm in Leicester and the East Midlands, with a focus on providing the best legal, commercial and strategic advice to clients, both locally and further afield. 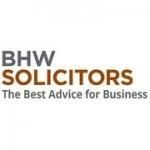 BHW Solicitors are listed in the Legal 500 guide and are one of only two firms in the East Midlands to be ranked by Chambers and Partners for Corporate/Commerical work in the private company sector. They have been using Redbrick Practice Management for 18 months now. BHW Solicitors deliver a cooperative, straightforward and businesslike approach, putting the client at the heart of everything they do. Which is why choosing the right system to support their exceptional level of client care and ambitious growth plans was essential. Their incumbent system was preventing them from working in the most efficient manner they knew they were capable of, which led to them reviewing the market. Founded in 2003 and having grown significantly from 2 staff to over 50 staff and 9 partners, BHW Solicitors wanted a robust, yet scalable case management solution that would allow them to focus on providing the expert, impartial advice for which they are so well known, safe in the knowledge that administrative tasks had been simplified and compliance enhanced. Following an in-depth selection process, BHW Solicitors chose Redbrick Practice Management for their fee earners, based largely on how easy it was to use and to customise. Integrated with Redbrick Business Intelligence, their back office accounting and management information solution, BHW Solicitors now have complete oversight of all of their matters, enabling them to make accurate real-time business decisions. Also of benefit to BHW Solicitors conveyancing team are the numerous integrations, such as SDLT, Outlook, AML, Searches, Document Portal, Case Tracking and Legal Accounts. They are now able to auto complete all required information throughout the process, without ever having to leave their case management system. This is a far more efficient way of working and removes the risk of incorrectly rekeying information. Redbrick Solutions unique business model delivers frequent upgrades at no cost to the firm, meaning that they always have access to the latest and best in technology, keep abreast of regulatory changes and future proof the firm. Progressive, successful firms like BHW Solicitors embrace advancements in technology and utilise them to deliver a better service to their clients.